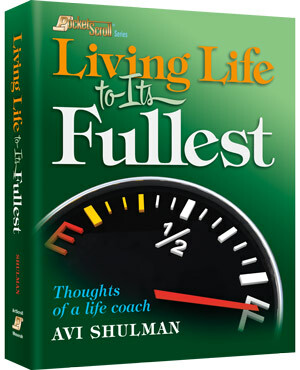 In Living Life to its Fullest, Mr. Shulman, a popular speaker, author and life coach, offers us short, insightful and readable vignettes, each designed to provoke conversation and thought. Below is an excerpt about lessons in life’s motivations. Of course, if a family doesn’t have money to pay for essentials — food, rent, clothing, etc. — paying employees more money will surely motivate them in the short run. But our question goes beyond the essentials. How do you keep an employee happy, working to his or her full capacity, and remaining in your company? And when we find the answer to this question, can we apply the same findings to motivating students and family members? Job security; good wages; promotion opportunities; appreciation; good working conditions; loyalty from management; feeling “in” on things; understanding attitude; tactful discipline; interesting work. There are two interesting lessons to be learned from this study. 1. The three top motivators from the employee’s perspective — appreciation, feeling “in” on things, and understanding attitude — do not cost anything in terms of money, just a few moments of time, respect, and understanding. 2. Most of us see things only from our own perspective. You would think that supervisors and managers who work so closely with employees would know what motivates employees… but the truth is, they don’t know. The lesson here is to realize that just because we know someone well or work with them does not mean we know what motivates them. Considerable thought, investigation, and discussion are necessary to learn what really motivates someone. Click here for more books by Avi Shulman. Thanks for visiting The Official Artscroll Blog. Make sure to subscribe via email (on the sidebar) to make sure you don’t miss any of our exclusive interviews, book excerpts, giveaways, and more!